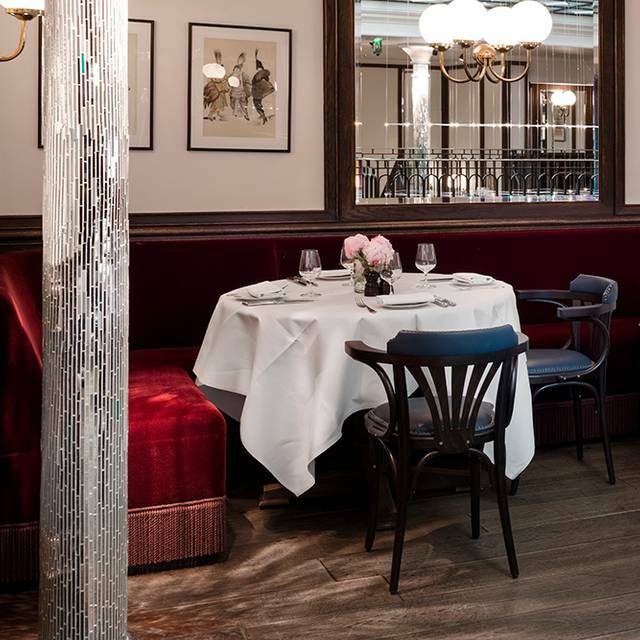 Located just off Trafalgar Square and around the corner from the London Coliseum, Les Deux Salons has two new main rooms – deux salons; a French restaurant with private dining spaces on the first floor and an all-day café, bistro, bar, épicerie and cave à vin on the ground floor. While definitely not formal, the restaurant is a little more upmarket with a special service, but never stuffy or complex. 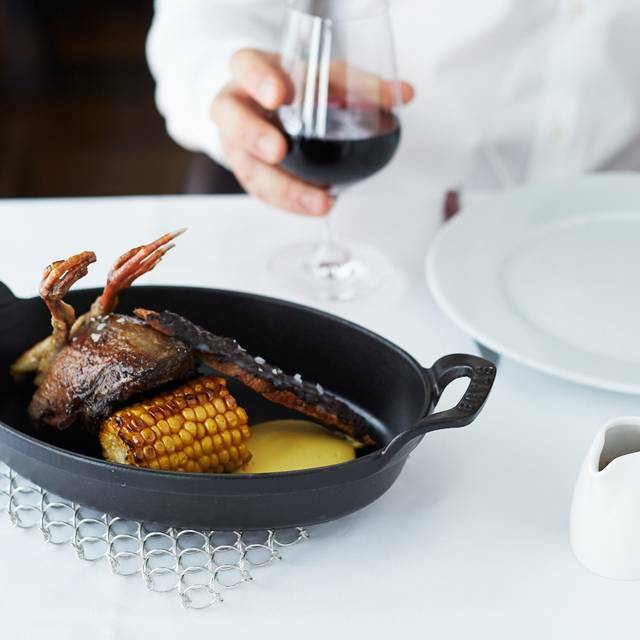 There’s a superior range of ingredients, including Native oysters, lobster, truffles, wild mushrooms, Dover sole, wild salmon, Anjou pigeon and côte de veau, as well as game birds in season. Plus, there’s always have a rack of lamb for two. 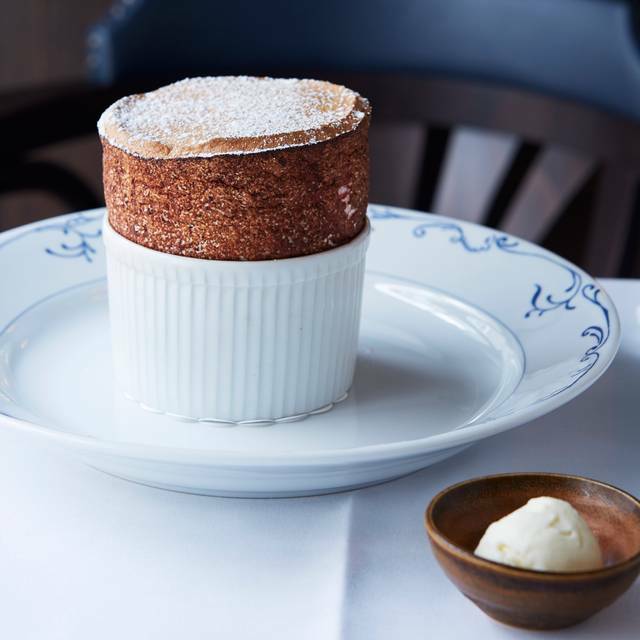 The dessert menu is also a little more sophisticated, and includes a glamorous soufflé. An experienced sommelier team to help promote our extensive all-French wine list. 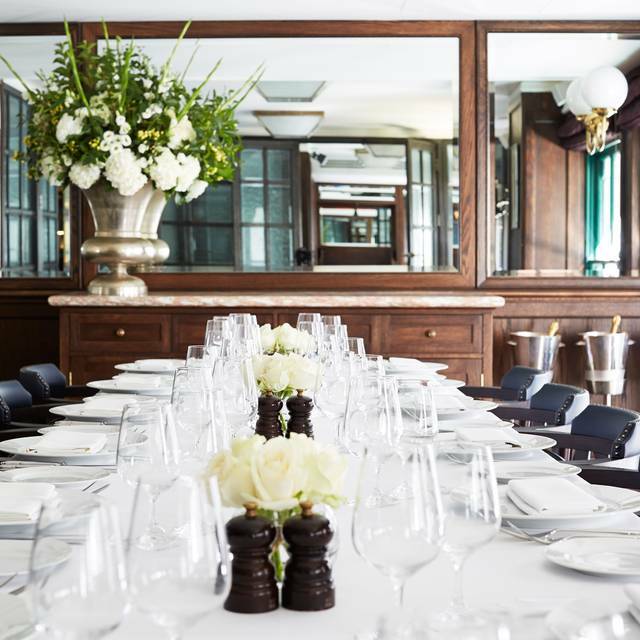 We have two private dining rooms in the restaurant that can be joined as one for larger events, with a sit down dinner of 70 and a stand up reception of 120. The midweek lunch menu is a little lighter and also for those doing business or with time restrictions, it is a little quicker. Three courses £29.50pp/ Two courses £26.00. 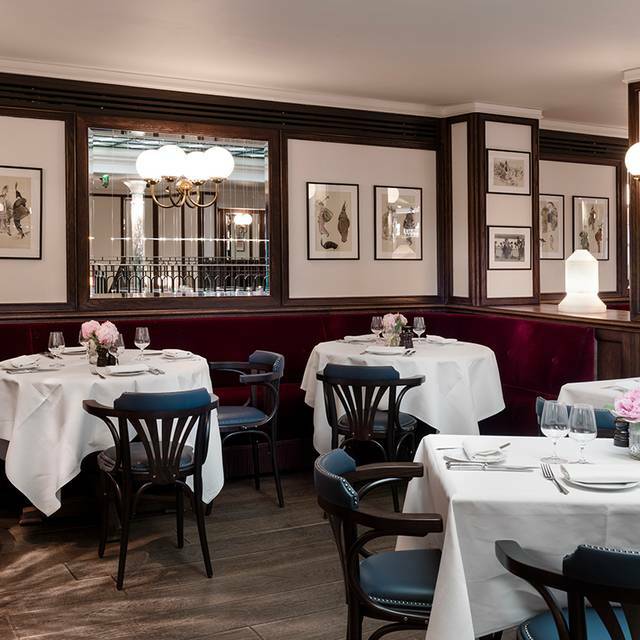 Sunday lunch at Les Deux Salons is all about a relaxed atmosphere with friends and family enjoying a delicious French meal. The menu format is simple, informal and all-inclusive. 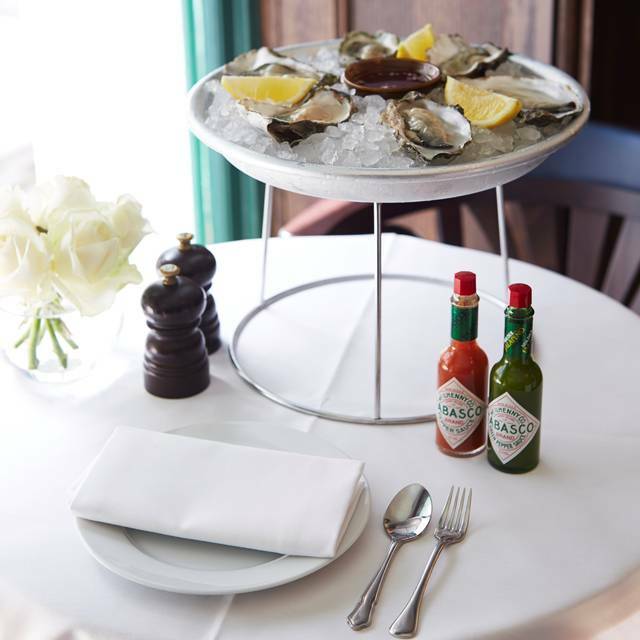 It is also great value for money with three courses at £29.50pp (£26 for two courses). Car Travelling by car, the nearest car parks are NCP in WC2N and Gerrard Street in China Town. Tube Charing Cross, on the Bakerloo and Northern Line, Exit 7. 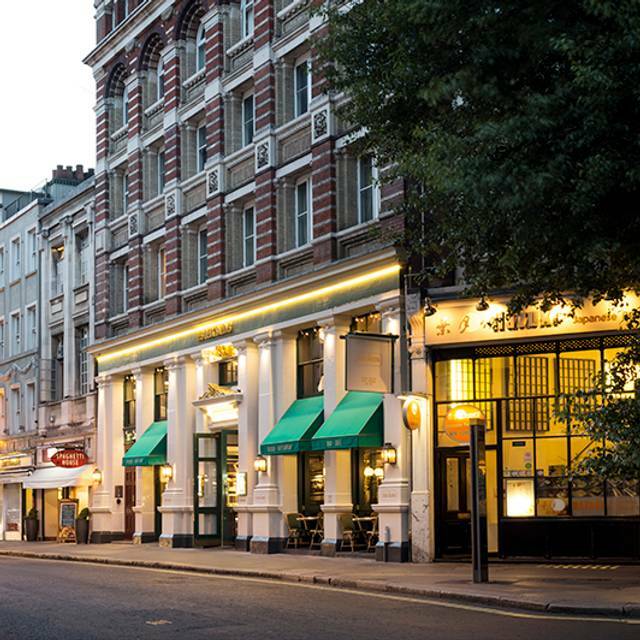 Leicester Square on the Northern and Piccadilly Line will get you to the door step of Les Deux Salons. Bus Take any bus to either Leicester Square or Charing Cross and follow the tube directions above. Very disappointing evening planned to meet some old friends. We had booked a table for 4 in the restaurant but when we arrived we were told the restaurant was closed for renovations but they had reserved a table in the ground floor Bistro where we were given the Restaurant menu. The Bistro was uncomfortably noisy and rather scruffy - not even a tablecloth. This was not at all what we had expected. Food was well cooked generally but poorly presented. One of our party had ordered a steak which was well seasoned but the accompanying bearnaise sauce was separating. The Lobster was delicious. Bacon served with liver was tough and salty. All in all very disappointing and expensive for a mediocre experience. We shall not be coming to Les deux salons anytime soon. The navarin of lamb was well cooked but could have had more vegetables. Location is excellent being only a couple of minutes from the underground. The service was very slow upstairs. It seemed that everyone downstairs was being seen to. Also the plaice almandine was so full of bones it was inedible. Sadly it has put us off returning, having spent many happy meals there in the past. An excellent birthday lunch prior to a matinee at the theatre. Very good all round. I asked for a quiet table as my friend is partially deaf. We had a lovely corner table and the staff had kept the table next to us free. The restaurant is spacious and very comfy. The food is good French food and the deserts are delicious (try the tasting desert choice). Treated myself to the lemon sole - worth every penny. Wine list included 1 of my fave white wines - Muscadet - usually hard to get. 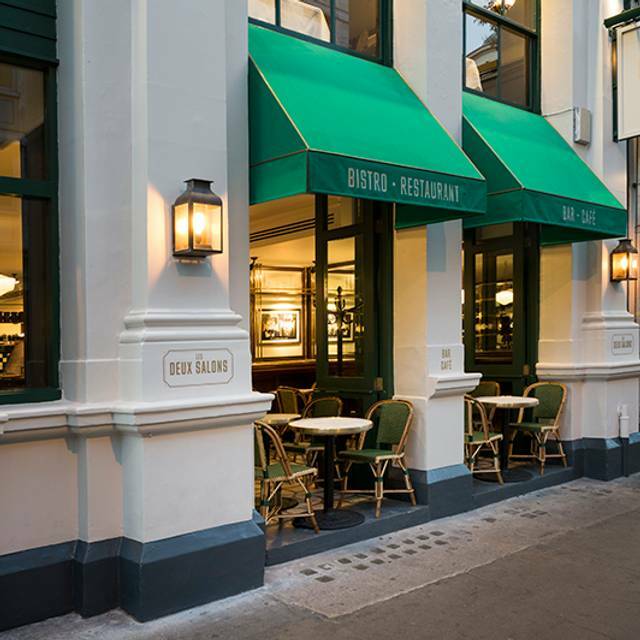 I took a friend for an informal meal at Les Deux Salons - we enjoyed the atmosphere, the service was very good and the menu fine. My food (fish) was very nice, but my friend chose the bavette steak, which was so tough she couldn't cut it, despite asking and receiving a sharper knife! I was a bit surprised we weren't offered a discount, although the waiter did apologise when he saw she hadn't eaten more than about half. This is a convenient location. Brasserie style food. Good authentic French bistro food well done. Stylish restaurant but bit lacking in atmosphere as hardly any other diners. 2 children enjoyed their food and the experience as well. Value fine - not the cheapest but decent value. Very good food and service. Waiter was in training but was very efficient but not overpowering. We were entertaining family from abroad: there were six of us in total including two children. We booked online & ate in the restaurant (upstairs) rather than the bistro (downstairs) in a private room. The service was efficient & friendly, the food & wine was excellent, with authentic French cuisine; the children chose from a children's menu. The venue is comfortable & classy, ie the décor & overall style of the premises made it well worth a visit. We have since popped in solely for coffee (in the bistro) & enjoyed that too. The place is very well located, near Trafalgar Square & Charing Cross, easy to get to & to find. Have eaten here several times and never had a bad meal. Food is great and reasonably priced considering quality and location. Would highly recommend it for lunch. Relaxed atmosphere. Unrushed. Good service. Some good food, but veg in the lamb Navarin undercooked. Overall fine. It's a very authentic French Brasserie with classic straightforward French dishes and good staff. What's not to like? Very disappointed with this visit - the receptionist really went out of her way to give us a lousy table. After that it was an uphill battle for them to retrieve the situation. First impressions and all that. Will not be going again and I can now understand why it was half full on a Saturday night in December. Food was very good - we had mostly classic French dishes. Service was friendly but very uneven. We arrived later than our friends but nobody came around to see if we wanted a drink (our friends were drinking champagne, so the restaurant missed a trick there). When we wanted to order wine we had to chase down staff, even though we had said we would order some, and we had to keep grabbing a waiter when we wanted more water - nobody came around to ask us how we were doing. Staff were friendly, but did not seem very experienced or trained. Booked a table in the restaurant however it was very quiet for a Thursday evening with little atmosphere. Didn't think there was a great choice of food on the menu and we weren't offered any "specials". We both had the bavette steak with tarte tatin for dessert. The food was fine although pricey and the cheapest wine was £27 and wasn't very good. The restaurant is very smart and pleasant. The service was friendly, helpful and quick. I have to write down the food, not for the quality, but because the main course, when it came, was only luke warm. To be fair, the restaurant did produce a good meal at the second attempt. Really great. Good food, excellent service. Very French decor. I will never visit another Conran Restaurant for the rest of my life. If they want to retain customers then stop moving the goalposts when people book special menus. The setting is good and the staff were courteous. But the food was very ordinary, especially for the price. There was nothing specifically wrong, but it just failed to meet our expectations. I love this restaurant and this time was no different. Our excellent waiter wanted me to try the gnocchi, even though I said that I wasn't a fan of gnocchi , as it was the vegetarian option. He explained that the French way of making it was totally different and the wild mushroom sauce was delicious. He offered to change it if I didn't like it, so I gave it a go. It was so different from any other gnocchi I have ever tried and I loved it! He was patient and interested in my opinion , and wanted me to really enjoy me meal and that sums up this restaurant to me! Excellent classic French cuisine. Friendly but professional service. Limited choice on prix fixe menu . Slightly disappointed in the general standard of the restaurant has gone downhill in recent times. The menu wasn't very good and the value poor compared to other French restaurant chains in this price range. We really enjoyed the food and the ambience of this restaurant and would go again. Lovely evening. A thoroughly enjoyable experience - fantastic service and great food. Highly recommended. We sat upstairs in a lovely space with atmospheric lighting (their modern take on a "chandelier" is gorgeous). Service was friendly and attentive. The food was good quality French fare and we were so full that we had to skip dessert. We will return. A cosy and intimate ambience, friendly and attentive service and carefully chosen menu makes for a relaxing dining experience in the heart of London. Loved the wine menu with good/better/best selections! Definitely a venue for repeat visits. My first visit for a while and it did not disappoint. I had booked for a business lunch. The service was courteous and prompt, the menu choices good and the wine list reasonable value. My guest and I both pronounced our food excellent and the first floor restaurant was ideal for us to talk business. The food was great from sharing charcuterie starter, to lobster main course, and taste citron/armagnac and prunes dessert. We even got a complimentary dilligences des dessert with Happy Anniversary written on the plate. A nice bottle of Bolli and a couple of glasses of red to help wash it all down. A lovely evening in a lovely restaurant. Service was good, but the waiter was a little over keen with some diners forgetting our bill for quite a while, he was also quite clumsy bumping into furniture, dropping cutlery, but I'm just being picky!! Met a friend for lunch on a Monday and the restaurant which we had booked was empty so they suggested we sat downstairs in the Bistro which wasn't much busier. The menu is classic French Bistro, not exciting or creative but that's not always what you want. Classics, however, have to be done well. The service was pleasant, not overly attentive, and they did tolerate us two women catching up over lunch for almost 4 hours, not that they needed the table at any point as it never got much busier. As to the food, a Roquefort and walnut salad served in a bowl too deep to comfortably eat out of with a knife and fork - and it needed it because the salad leaves were very large; I enjoyed the steak tartare, pre-mixed in the kitchen, but about 2 oz (a small burger's worth) of chopped steak and an egg yolk didn't warrant the £9.95 price tag, even in such a great location. We both had sea bream with fennel, which was exactly that. A limp, overcooked, unseasoned fillet of bream sitting on a few limp, overcooked, unseasoned watery slices of fennel. Very disappointing. With one glass of house wine (one of us not able to drink) and 4 coffees, bill was £94 including the ubiquitous 12.5% service. Luckily for them, we were there for the conversation and didn't bother with moaning about them since they didn't moan about us. It's a great venue and pleasant enough if all you're looking for is somewhere to meet rather than a full on French gourmet experience. Les Deux Salons - excellent service, friendly, fun, informative, not rushed. Food okay, slightly ahead of average but not by much (how wrong can you go with cauliflower soup - creamy but mildly flavourless - and entrecôte - a fatty lump in the middle but well cooked medium rare). Well priced wine list and Meteor Pilsner - both good. Good coffee. That we spent four hours chatting is testament to the ambiance and patience of the staff! !